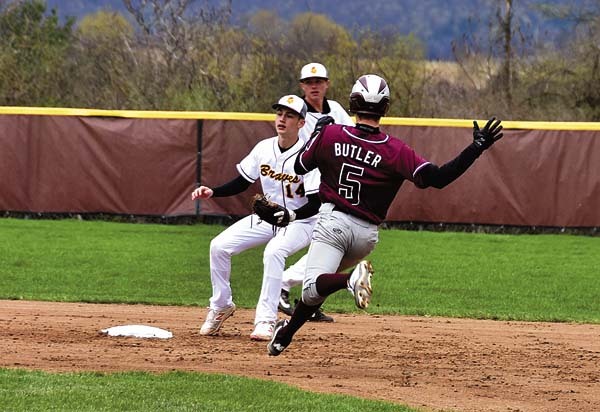 NORTH EAST, MD – The Fulton-Montgomery Community College baseball team opened its season Friday, splitting a double-header with Cecil Community College. The Raiders (1-1) won the opening game of the twin bill 5-2 and fell 16-1 in the nightcap. Matt Snyder won the opening game throwing a complete-game two hitter and striking out 12. Iziah McCowan was 2-for-4 and drove in a pair of runs for FMCC, while Zeb Gaston also went 2-for-4. In the second game, Gloversville graduate Greg Mosetti led the Raiders’ hitting with a double. FMCC will return to the diamond Sunday for a second doubleheader with Cecil Community College. Snyder and Melendez; Errickson, Bree (5), Kelley (6) and O’Brien. Pechtel, Vickery (1), Holmes (1), Shinoda (1), Mendez (3), Gravel (4) and Ford; Tyndel, Ogando (5) and Martin, O’Brien (5).